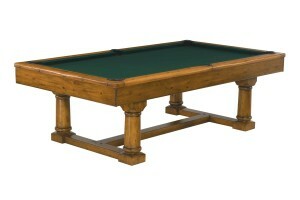 A great addition to any home, the Allenton is the perfect pool table for someone searching for a bargain. Select the clean, strong lines of the veneered tapered legs or opt for the solid wood ball and claw leg. 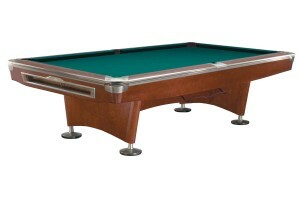 Solid wood rails, Brunswick-certified premium slate, and pearlized diamond-shaped sights enhance the experience. 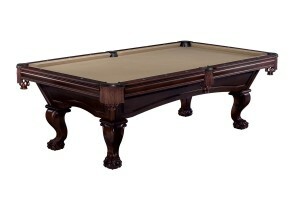 Classic Arts and Crafts style make this a beautiful addition to any home. 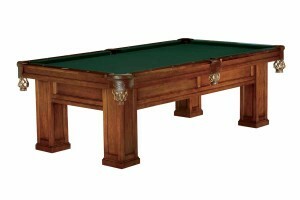 Since 1961, the Brunswick Gold Crown has reigned as the industry’s best playing professional pool table. The Gold Crown V continues in this tradition with sophisticated new styling, while still maintaining its classic lines. 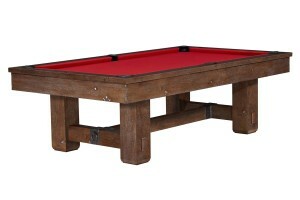 Refined style meets rustic materials in the Park Falls—a unique table that’s in line with the trends, yet blends with a wide range of room settings. 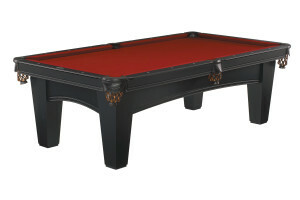 Old World craftsmanship meets velvet-smooth play, courtesy of the new Merrimack table.